LATHAM, NEW YORK (July 17, 2018) – Leading Data Center and Cloud Hosting Solutions provider TurnKey Internet, Inc. announced today that their flagship Data Center in New York’s Tech Valley has received SSAE 18 SOC 1 & SOC 2 certification with HIPAA compliant mapping. After a thorough audit, TurnKey Internet was deemed compliant with the regulations required to attain certification. The examination was conducted by SOC audit specialists The Moore Group CPA, LLC. 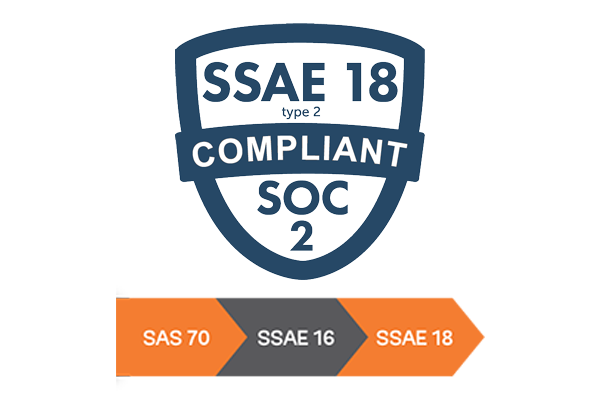 SSAE 18, previously known as SSAE 16 or SAS 70, contains the rules for a CPA firm conducting an attestation of a service organization’s internal controls and issuing a System and Organization Controls’ (SOC) report. The SOC certification audit investigates several core areas: security, availability, processing integrity, confidentiality, and privacy. It verifies that TurnKey Internet’s Data Center is of the utmost security, integrity, and reliability. It confirms that TurnKey Internet has procedures and safety precautions of the highest certification standard in place to ensure the security of the facility and its clients’ data within. In addition to the SSAE 18 SOC 1 & SOC 2 certifications, TurnKey also achieved HIPAA compliant mapping. This demonstrates TurnKey’s compliance with U.S. federal and state government HIPAA regulations, standards and frameworks, regarding the security and protection of electronic personal healthcare information.